To wraps products in centre folded film. - Easily adjustible for height and width. - Speed up to 03 to 04 Packs/ Min. Specifications may change from the Above Seal bar larger size/customised size also possible on order. With rich industry experience and knowledge, we are manufacturing and supplying a qualitative range of L Sealer Shrink Machine. 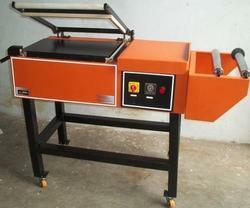 We are offering a wide range of L Sealing Machine. - Manual / Auto feed in to tunnel. 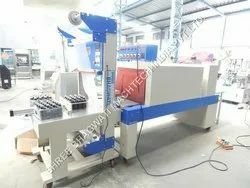 - Manual / Pneumatic operated sealing frame. - Sealing frame with magnatic lock. - 10 to 15 packs per minute output.